Life at the Speed of Light (2013) chronicles the pioneering work of the author and his team in creating the world’s first synthetic life form. 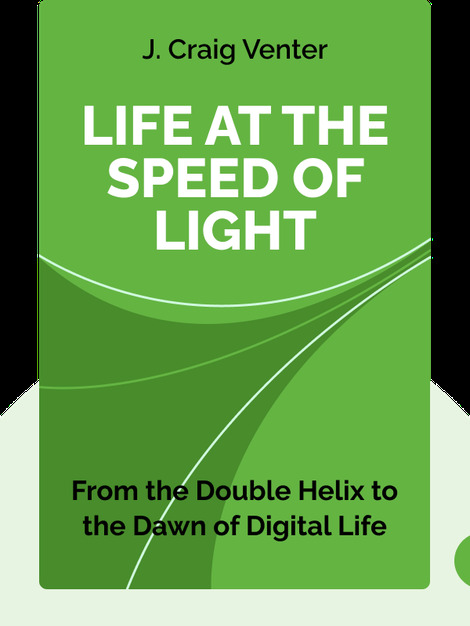 You’ll experience the thrill of discovery as you follow the team’s groundbreaking work in synthesizing the world’s first genome and exploring the teleportation of living organisms. Craig Venter is a world-famous biochemist and geneticist. 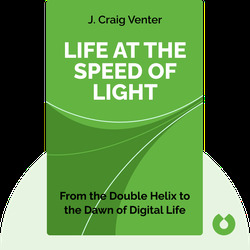 Author of his own autobiography, A Life Decoded, Venter has also been included twice on the “TIME 100,” a list of the world’s most influential people as chosen by Time magazine editors.